Taking care of your wooden worktops is essential to ensure they remain in prime condition. 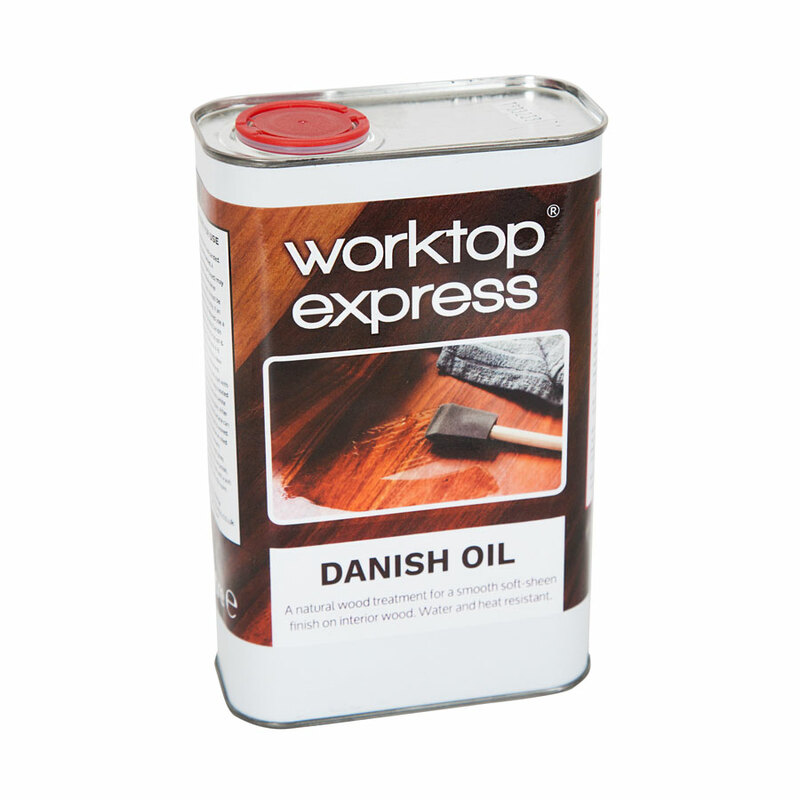 This tin of Danish oil 1L is exclusive to Worktop Express and is the perfect treatment for your solid wood kitchen worktops. This worktop oil has been specially blended to maintain the water and heat resistant surface for your worktops whilst giving them a smooth and soft-sheen finish. To use, liberally apply the Danish oil to the surface of your wooden worktop with a clean, lint-free cloth and remove the surplus. Leave to dry for 3 - 4 hours and reapply if necessary. For the best results, we recommend applying 1L of oil per 3 metres of worktops. This worktop oil can be used before installation as well as part of the regular maintenance of your solid wood work surfaces. Please note: for food preparation we would recommend using an independent chopping board, and not a surface coated with this product.